quite possibly the best blog you will ever stumble upon. : Caliente!! Wowzers, it is hot! Your loyal CLI intern has been trying to avoid the heat today, but now has returned, inspired to find some cooling mechanism with style. And alas! One has been found. Check out this cool "Fan" by the French Elium Studio. 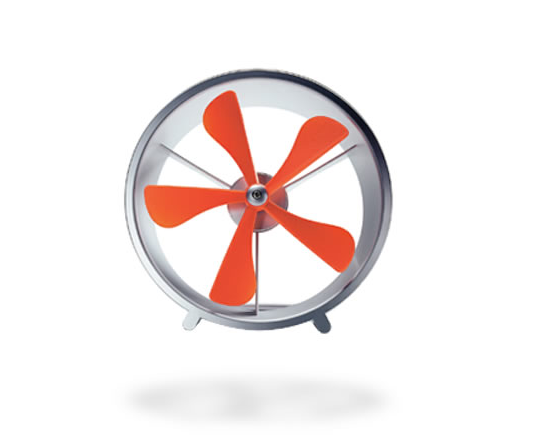 The fan is simple and cool in design, and has rubber blades so as not pose a health and safety threat to those wanting to play and touch this cool little device. I love it! I wonder how much it costs?